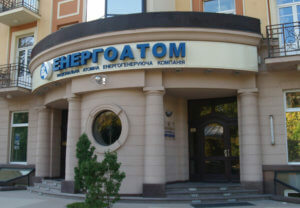 National Nuclear Generating Company Energoatom expects the Cabinet of Ministers of Ukraine soon to approve documents for a tender to attract a partner in the project on the creation of the Ukraine-EU Energy Bridge, Energoatom’s press service has reported, referring to the company’s president, Yuriy Nedashkovsky. “We expect in the near future the approval by the Cabinet of Ministers of the tender documentation, which is needed to hold a tender to determine a private partner for the Ukraine-EU Energy Bridge project. One of the points of the documentation is the procedure for allowing Energoatom to access the interstate electricity market for 20 years, which will ensure unhindered exports of electricity,” the press service quoted Nedashkovsky as saying after a meeting with co-owner of Kulczyk Investments Dominika Kulczyk. Kulczyk, in turn, assured Energoatom’s leadership that the energy bridge project is a priority for Kulczyk Investments. Earlier reports, referring to the Ukrainian Energy and Coal Industry Ministry, said that Westinghouse Electric Sweden AB, Polenergia International S.àr.l. and EDF Trading Limited, a consortium of companies, planned to participate in the project to establish the Ukraine-EU Energy Bridge. The Ukraine-EU Energy Bridge project envisages the organization of transmission from reactor two of Khmelnytsky NPP to the European power grid. The funds that will be received from exports of this electricity will be used to finance construction of reactors three and four of the NPP. The decision to implement a pilot project entitled “Ukraine-EU Energy Bridge” was made by the government in June 2015.